The current favoured geological paradigm, Plate Tectonics, has many detractors and their writings can be found in print and/or online in publications such as the New Concepts in Global Tectonics Journal (1). From works published in the NCGT Journal and others, it is clear that since its inception not all geologists accepted the new Plate Tectonics paradigm, some went down the path of retaining the Plate Tectonic notion of continental ‘fits’ and produced Expanding Earth models whilst other geologists produced entirely different models altogether. For the supporters of Plate Tectonics however, one question that has remained unanswered is why Plate Tectonics is unique to the Earth. No other terrestrial planet or natural satellites show any evidence of the alleged mobile plates. Most terrestrial bodies have intensely cratered surfaces, of the inner planets only Venus and Earth display a distinct lack of craters. Indeed, Venus a planet only slightly smaller than Earth, our so-called ‘twin’ is one that would be most likely to exhibit Plate Tectonics yet shows no signs of any plates. Planetary geologists explain this evidence, that something may be wrong with our current understanding, away with ad hoc suggestions that usually involves Venus having a thicker crust or lacking convection in the mantle but with no seismological measurements taken on Venus this is complete guesswork. The exploration of the solar system over the last 50 years has revealed a huge amount of information about the individual planets and their satellites but none of the terrestrial planets or satellites exhibit anywhere near the amount of geological activity evident on the Earth. From this exploration we now know that the planets and their satellites are immersed in an electrified plasma and it is from this perspective that we should seek a cause of planetary geological activity. ‘2. A plasma does not necessarily possess an intrinsic electric potential. Where plasmas form in electrical discharges, however--and this is the connection in which Langmuir studied them--they do acquire non-zero potentials. ‘These are clearly matters of immense importance. I will return to them later. What Juergens called ‘space-charge sheaths’ are popularly known as magnetospheres and of the terrestrial bodies immersed in the solar plasma only two have intrinsic magnetospheres, Mercury and the Earth. The innermost planet Mercury has a global dipolar magnetic field nearly aligned with the planet's rotational axis about 1.1% the strength of Earth's. Measurements from the MESSENGER spacecraft indicate that the field is offset north of the planet’s centre by 300miles, when compared to measurements taken by Mariner 10 in 1975 the field is 7% weaker today. MESSENGER also found areas of a stronger remnant magnetic field of opposite polarity to the direction of today’s field in Mercury’s northern plains. Today’s field is somewhat of a puzzle, Mercury’s small size and slow 59-day-long rotation provide a challenge for the popular dynamo model for the generation of planetary magnetic fields and conventionally the planet has had plenty of time to cool down. From these observations and to paraphrase Juergens we can infer that the Moon, Mars and Venus have acquired the potential of the surrounding plasma and their sheaths have disappeared; remnant magnetism on the Moon, Mars and Mercury may be due to electrical scarring events at some time in the past. These observations would also indicate that Mercury and the Earth have not acquired the potential of the surrounding plasma, are Mercury and the Earth recent arrivals in their current orbits, perhaps after having gained additional charge following a close encounter with bodies unknown? The Earth however does have a substantial atmosphere and magnetic field, is far more geologically active and has yet to ‘acquire the potential of the surrounding plasma’. What drives the Earth’s magnetic field? The current mainstream explanation involves a dynamo effect generated in the Earth’s core. 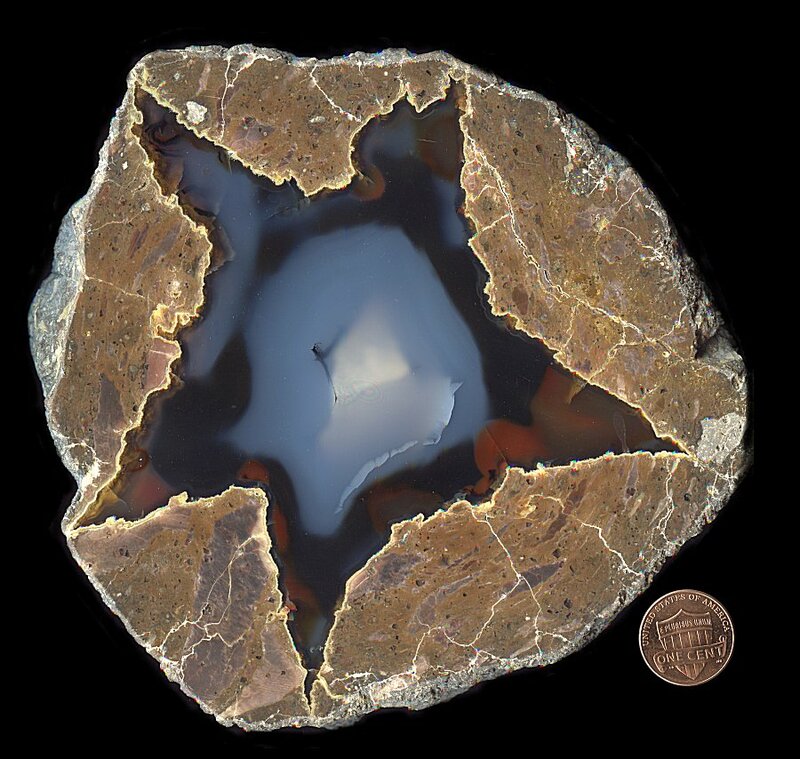 Seismic studies have led geologists to believe that the outer core is a conducting fluid (liquid nickel/iron) whilst the inner core is believed to be solid iron. The motion of the inner and outer cores generates an electric current which in turn generates a magnetic field. As simple as this sounds there are problems however, Joseph Cater explains: ‘Scientists are somewhat vague as to how a magnetic field could extend 2,000 miles beyond an electric current. It requires a very powerful current to produce even relatively weak magnetic effects a very short distance above the flow. The electrical resistance of iron, at the alleged temperatures of the core, would be staggering. A steady flow of electricity requires constant potential differences. How are such potential differences produced and maintained in this hypothetical core? Do we have any evidence that the Earth is adjusting to its electrical environment? Dr Thomas Barnes noted that measurements taken between 1835 and 1965 revealed that Earth’s magnetic field was decaying at a rate of 5% per century. (9) Other researchers estimate that the field will disappear altogether in just 2000 years. (10) This would seem to indicate that the Earth is discharging to meet the electrical demands of its environment, if so how is this process driving global tectonics? The Earth is a hollow electret; (11) this may seem a ludicrous suggestion, after all we have plenty of seismic data that tells us otherwise but a degree of caution is needed when interpreting that data. The researcher and author Jan Lamprecht has devised a model of the Earth’s interior which is consistent with known seismic data with one important difference- the Earth is hollow. (12) In Lamprecht’s model a cavity, about the size of the currently hypothesized inner core, exists at the centre of the Earth. How might such a cavity form? Our understanding of the Earth’s interior is very limited and what we do know came as a surprise to geologists. Findings from the Kola Superdeep Borehole near Murmansk, Russia which reached a depth of 40,220 feet (7.6 miles) and the super-deep borehole at Oberpfälz, Germany which reached a depth of 29,860 feet (5.6 miles) were not anticipated. Charge carrying material drifting up from depth takes the form of liquids, gases and nearer the surface, molten rock. At the surface charge transfer takes the form of volcanic activity. To explain the observed electrical activity associated with volcanic activity it is now postulated that silica, an ingredient of magma is highly charged before it even enters the atmosphere. (20, 21) Basalt, an igneous rock, covers large areas of the Earth’s surface, most of the ocean basins are covered in basalt. Results from the Deep Sea Drilling Project indicate that the basaltic ‘basement’ layer had been subjected to sub-aerial weathering, meaning oceanic basalts formed in terrestrial or shallow sea conditions. (22) If the outflows of basalt occurred during a time of global upheaval then it is likely that electrical discharges left their mark before the crust collapsed, forming the deep ocean basins. Interestingly, most basalts on the ocean floor are tholeiitic basalts which are relatively rich in silica which as was noted earlier is now regarded as being highly charged. Perhaps, the expansive outflow of basalt was triggered by a change in Earth’s gravity as a result of its new electrical environment. (23) The process, still continues today but at a reduced pace, as the demands of the environment, on the Earth, diminish. It would appear then, that entire sections of the Earth’s crust have collapsed mainly along fracture lines related to structures deeper within the Earth, as the main collapse ensued magma, saline water, hydrocarbons and other gases were expelled in great quantities, this activity was linked to the charge transfer process, moreover, most geologists agree that mountain formation took place fairly recently, conventionally placed in the Pliocene – Pleistocene Epochs, uplift in certain parts of the crust could well have been a consequence of the complete collapse of the crust in other areas. If charge is being conducted today through these discharge channels/ fracture lines then we would expect to find accounts in the literature of unusual atmospheric phenomena associated with earthquake activity, recorded phenomena include: bulging of the Earth’s surface, changing well water levels, ground-hugging fog, low frequency electromagnetic emission, earthquake lights from ridges and mountain tops, magnetic field anomalies up to 0.5% of the Earth’s dipole field, temperature anomalies by several degrees over wide areas as seen in satellite images, changes in the plasma density of the ionosphere, strange animal behaviour and unusual cloud formations. We have seen that it is becoming increasingly recognised that both volcanic and earthquake activity are both accompanied with electrical activity. Rather than being secondary phenomena I suggest that electrical activity, in the form of charge transfer, is the driver of global tectonics. A vast reservoir of chemical elements at the centre of the Earth is impelled to drift towards the surface, mainly through deep ancient structures and more recent fracture lines, as part of the discharge. To summarise; both the Earth and Mercury have yet to reach to potential of their respective plasma environments. The Moon, Venus and Mars all appear to be at electrical equilibrium with their plasma environments and display no intrinsic magnetic fields or magnetospheres and appear in comparison to the Earth, geologically inactive. The magnetic fields of the Earth and Mercury are showing signs of steady decay. Deep within the Earth a cavity exists from which water and other volatiles migrate to the surface- this migration is part of a global discharge that powers tectonic activity- the like of which is not seen on any other planet. 2. Juergens. Ralph. E. 1972. Reconciling Celestial Mechanics and Velikovskian Catastrophism. Pensée Vol. 2 No 3. 8. Juergens. Ralph. E. 1977. On the Convection of Electric Charge by the Rotating Earth. Kronos Vol. 2 No 3. 18. Gold. Thomas. 1999. The Deep Hot Biosphere. Springer-Verlag New York Inc.
22. Ioganson. Lidia. 2014. Beloussov’s View of the Origin of Oceans. NCGT Journal Vol. 2 No 2. 23. Thornhill. Wallace. 2008. Electricity or Gravity: Which Rules the Universe? SIS C&C Review. 28. Thornhill. Wallace, Talbott. David. 2007. The Electric Universe. Mikamar Publishing, Portland. 29. Velikovsky. Immanuel. 1955. Earth in Upheaval. Doubleday. New York. Current geomorphological explanations for the continued existence of planation surfaces fall short. Michael Oard being a creationist attributes the existence of planation surfaces to the Biblical Flood, the continents being levelled during this event. Might planation surfaces have an explanation other than that offered by Oard and more along the lines of that suggested by King? And what about the age paradox of supposedly old landforms appearing young- can that issue be resolved? Mountain ranges are not hundreds of millions of years old, like existing planation surfaces they have formed recently and the process of vertical displacement was independent of the make-up of the mountain. Recall that it is believed that planation surfaces were once much larger, now we have a reoccurring theme- plateaus followed by mountains formed from originally much larger flat surfaces and all formed recently. Is it possible that the surface of the Earth was radically different prior to a ‘recent’ event that has fragmented an originally much larger flat surface, and would any evidence remain of this former surface? 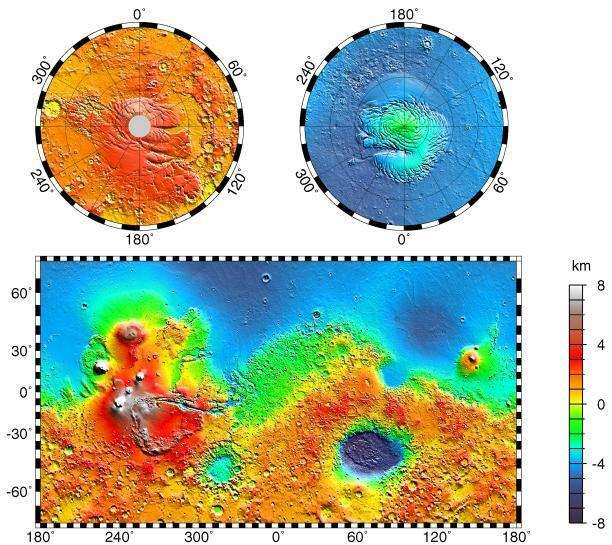 A curious topographical feature of the planet Mars is a noticeable hemispheric dichotomy. (5, 6) ‘The so-called hemispheric dichotomy was first observed by NASA's Viking missions to Mars in the 1970s. The Viking spacecraft revealed that the two halves of the planet have a very different topographical appearance, with relatively young, low-lying plains in the north and relatively old, cratered highlands in the south.’ As usual the ubiquitous massive impact in the distant past is proposed to ‘explain’ this curious feature. (7) This is just a fudge; planetary scientists don’t really have an explanation for the hemispheric differences on Mars. Provided that planetoid, asteroid and meteorite impacts happen in the distant past then they are used to ‘explain’ just about every feature of the solar system. Could it be that the Martian hemispheric dichotomy is simply a relic from the planet’s formation? If so, do we have any other examples in the solar system? If the terrestrial planets and satellites formed electrically then they are simply variations on a theme, just as in the links given above not all concretions, marbles, geodes and thunder-eggs look the same so we can expect the planets and satellites to exhibit different topographical properties just as we find with Mars and Iapetus. But what of the Earth, does it possess any of these electrical topographical characteristics? In a series of papers published in the New Concepts in Global Tectonics journal, Dong R. Choi et al. detailed the formation of the Pacific Megabasin from a viewpoint sceptical of the mainstream Plate Tectonics paradigm. In one of those papers the authors using gravity measurements from the GRACE satellite identify what they call the Global Low Gravity Belt. In their concluding remarks the authors write: ‘…in the global gravity field a distinctive low-gravity belt is recognized around the Pacific hemisphere. It runs from Antarctica, through Australia and India, to Siberia, Canada and Brazil and forms a globe-encircling ring structure, named the Global Low-Gravity Belt. This belt forms the tectonically stable outer ring of the Great Pacific Ring Structure. It consists of: 1) the outer ring, characterized by a broad low-gravity belt, and 2) the inner ring, occupying the present circum-Pacific mobile belt. The mega-ring structure appeared in the Jurassic in association with the activation of the Western Pacific Deep Mobile Belt (Choi, 2005; Choi and Vasiliev, 2008b). In this area the magmatic activities were most active until Cretaceous to Paleogene time, and regional subsidence became most active from the Neogene to the Quaternary. This structure is one of the most outstanding, global-scale structures and affected the tectonic development of the entire globe. Here we have recognition that the Earth itself displays a similar hemispheric dichotomy like that observed on Mars. 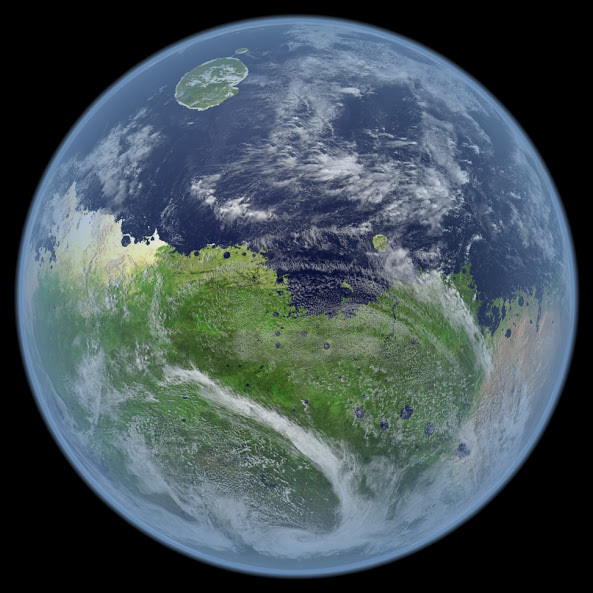 The Pacific Megabasin and continents are analogous to the Martian lowlands and highlands. Not only that, this topographic feature is ‘a primary old structure’, which has probably existed since the formation of the Earth. We can now see why planation surfaces ‘were once much larger’ - they previously covered an entire hemisphere! Earth’s current ‘highland hemisphere’ is now a patchwork of continents, all that remains of a former much larger land surface that underwent in situ vertical displacements; that is why planation surfaces still exist today, for most of their existence they were hemispheric in extent and postulating different electrical, gravitational and climatic environments in the past, probably suffered very little erosion. Further research by Choi et al. had, initially, revealed the existence of an anticlinal (15, 16) feature stretching from Siberia to the South Pacific, the South Pacific-Siberian Super Anticline (SPSSA). (17) Later, a similar anticlinal feature was identified in the Americas, the North-South American Super Anticline (NSASA). (18) From this paper we read: ‘The North-South American Super Anticline is an Archean-origin geanticline structure developed on the Earth surface. It formed in parallel with an antipodal geanticline – South Pacific-Siberian Super Anticline.’ Both of these global scale Precambrian geanticlines formed early in Earth’s history and apparently both connect in the Arctic Ocean. Remarkably, this global structure closely follows the Global Low-Gravity Belt- which itself divides the Earth into two hemispheres. Is it possible that this globe encircling anticline is a relic equatorial ridge, dating from the Earth’s formation similar to what we see on Iapetus today? As I have mentioned elsewhere experiments in stratification by Guy Berthault found that where a water current is present rock strata can form laterally and vertically at the same time and strata are not always a measure of chronology. With this in mind the change in structural direction of rocks in the Arctic during the ‘Devonian’ may well indicate an axial shift and following Berthault, this shift would have been rapid. This research suggests that large areas of the ‘highland hemisphere’ were structurally weak and I propose that it is these areas that subsided forming the Atlantic and Indian Oceans of today. During this process vast quantities of saline water were expelled from the aforementioned conductive layer (perhaps, compelled to do so in an exchange of charge). Ancient continental type rocks as well as samples of dried cracked ‘Cretaceous’ mud have been recovered from large areas of the Atlantic and Indian Oceans, some researchers attribute these findings to changes in sea level but equally it could mean that these oceans were either much smaller than today or non-existent. Passive Margins, Evidence of Subsidence? There are two types of continental margin, the Atlantic or passive margin and the Pacific or active margin. Passive margins are found only in the relic ‘highland hemisphere’ and are absent from the Pacific Ocean. (20) Moving away from a continent a typical passive margin consists of a Continental Shelf, Continental Slope and Continental Rise descending to the ocean Abyssal Plain at an average depth of 4 kilometres; with the exception of the Abyssal Plain these features are blanketed in vast quantities of sediment. Buried under the sediment fill are listric normal faults, uplifted and down-faulted blocks of the crust that give an appearance of a giant staircase rising from the ocean floor. Salt layers seem to be common at the base of these faults; this would not be unexpected, as the crust fractured, subsided and brine was released from the porous rock beneath. All in all, these structures are highly suggestive of large scale subsidence. A growing understanding of Earth’s geological make-up is increasingly problematic to the various geological disciplines, including geomorphology. Geologists, even those connected with the NCGT organisation, are still wedded to a fictitious millions of years timescale. Berthault has experimentally demonstrated otherwise. 1. Oard. Michael. J. 2011. The remarkable African Planation Surface. Journal of Creation Vol. 25 No. 1. 3. Twidale, C.R., and E.M. Campbell. 2005. Australian Landforms: Understanding a Low, Flat, Arid and Old Landscape. Rosenberg Publishing PTY Ltd, New South Wales, Australia. 4. Ollier. Cliff. D. 2006. Mountain uplift and the Neotectonic Period. Annals of Geophysics, Supplement to Vol. 49 No. 1. 14. Choi. Dong. R. et al. 2009. Geology and tectonic development of the Pacific Ocean. Part 5. NCGT Newsletter No. 50. 17. Choi. Dong. R. 2013. An Archean Geanticline Stretching from the South Pacific to Siberia. NCGT Journal Vol.1 No. 3. 18. Choi. Dong. R. et al. 2015. North-South American Super Anticline. NCGT Journal Vol.3 No. 3. 19. Pavlenkova. Nina. I. 2004. Low velocity and low electrical resistivity layers in the middle crust. Annals of Geophysics, Vol. 47 No. 1. We have considered the possibility that the Earth’s surface was in the past radically different than that of today. In the approach outlined previously and absent Plate Tectonics how did today’s mountain ranges form? I have posited the existence of a former global hemispheric sized continental surface- a relic of Earth’s formation- that had formerly existed for aeons largely unchanged. This removes the ‘one of the biggest obstacles’, the time available for planation. Billions of years ‘of tectonic stillstand or at least quietness’ were available, not only that but the topographic relief of this surface was largely flat. There existed no deep valleys and no high mountains as we would understand today, what relief did exist probably existed at the boundary between the two hemispheric types, with the exception of the occasional shallow-sea perhaps, cutting into the continental surface; this lack of relief, however, meant continental areas were susceptible to marine transgression during any periods of instability. I could go on but the pattern remains the same, regardless of where we look. We find evidence of former vast plains- a single planation surface. To form the mountains we see today large areas of this vast surface were uplifted to form plateaus then parts of the newly raised plateaus were eroded to form mountains. This incredible global phenomenon was unique nothing like it in Earth history had happened before or since. Cliff Ollier is no catastrophist catastrophic processes are not considered, so despite the evidence and unable to deviate from uniformitarianism, in the final analysis mountain building remains mysterious: ‘We do not yet know what causes this short, sharp period of uplift…’ it is due to: ‘Some unknown process…’ I propose that the ‘unknown process’ was an electrical event during the final stages of a global cataclysm one that began with subsidence on a massive scale. Berthault’s research on how sedimentary layers form is exemplary but I have to respectfully disagree with his hypothesis linking it to mountain formation. As we have already seen mountain formation occurred in a single synchronous global pulse, therefore, it could not be due to ‘periodic mantle plumes’. However, I believe Berthault is correct in one aspect- continental surfaces did suffer massive marine transgressions and regressions- but this was prior to mountain formation not because of it. This is why we find limestone and fossilised sea creatures at the summit of Mount Everest- a massive marine incursion had previously deposited them on a relatively flat surface prior to the uplift event. The marine incursion event must have occurred during a time of global upheaval, this would imply mountain formation too was associated with this period, uplifted sedimentary layers suggest that mountain formation occurred during the final stages of the cataclysm but how and why? In the paper ‘Massive Solar Eruptions and their contribution to the causes of Tectonic Uplift’ (5)- Robert Johnson demonstrates that massive electric discharge currents flowing through the Earth’s surface following a massive coronal mass ejection (CME) on the Sun could offer just to kind of uplift mechanism required for the formation of mountains. Uplift would occur due to thermal expansion and/or phase change of the original rock as well as the in situ formation of granite. Indeed looking at Mount Everest again this is just what we find: ‘marine sediments lie atop sedimentary and igneous rocks which have been baked by high temperatures and pressures into crystalline metamorphic rocks. Many rocks around the base of Everest are unique granites containing unusual minerals such as tourmaline, garnet and mica.’(6) Robert Johnson has provided a mechanism of uplift which I am in broad agreement with, however, along with thermal expansion and phase change we can consider a third possibility. Assuming gravity to be an electrical phenomenon then any change in Earth’s gravity resulting from an exchange of electrical charge, would surely lead to a vertical rearrangement of crustal rocks, especially if their density had been altered during the discharge event? Recall that: ‘Mountains are created by the vertical uplift of former plains’; following Cliff Ollier’s work, the uplift that occurred via the ‘Johnson Mechanism’ must have raised large areas of former plains to form plateaus. But mountains are not plateaus, what process shaped the iconic mountain form that surrounds many plateaus? 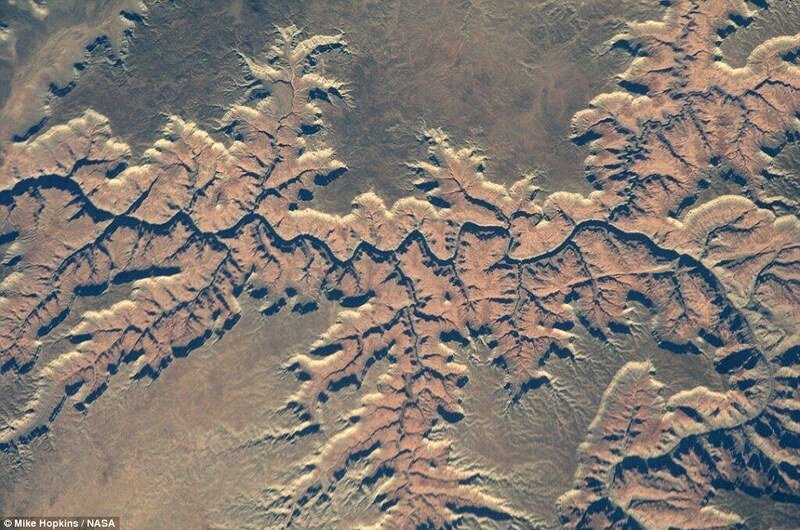 The fractal signature of an electrical discharge is the Lichtenberg figure, (9) not only is this figure associated with canyons and riverbeds (10) it is also apparent in mountain ranges (11, 12). If the major canyons and riverbeds on Earth’s surface were carved out electrically then it is reasonable to assume that the iconic mountain form must have been also- possibly during the same electrical event. One property of electric arcs is to preferentially strike raised surfaces, now, combining Johnson and Anderson we see that mountain formation was not only due to electrical uplift but also due to electrical erosion. 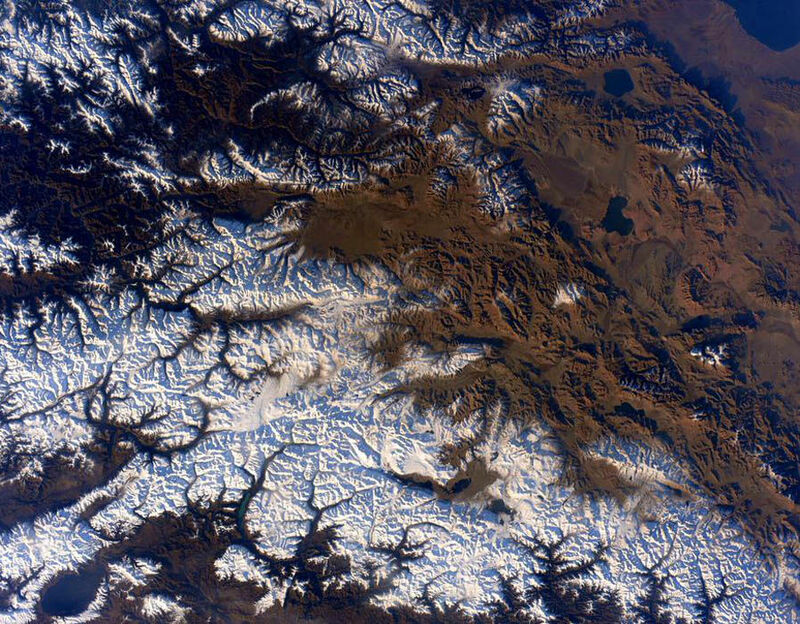 In this image of the Tibetan Plateau -from the International Space Station- (13), we notice the uplifted plateau the rim of which has been eroded to form snow-capped mountain ranges. This is the pattern we see the world over and now we have an explanation. During a period of global upheaval immense electric currents swept across and penetrated deep below the surface of the Earth. As immense blocks were raised from a former flat planation surface high points became a focus for electrical erosion. What strata escaped being metamorphosed were eroded, pulverised and scattered by intense electrical winds (something similar but on a vastly reduced scale still occurs on Mars today (14)). The researchers concluded: ‘Apparently we require either a single very large volcanic explosion, or the simultaneous explosion of many volcanoes, or conceivably a cometary collision similar to that suggested by Urey as a "last resort type explanation" for the origin of tektites.’ In other words a global cataclysm is required to account for the ash. However, if we look at the chemical composition of the ash (17) we find it shares similar chemical properties with granite (18). Loess covers about 10% of the Earth’s land surface and is according to Michael Oard: ‘…difficult to define, but it is generally considered to be wind-blown (Aeolian) silt. It is composed mostly of quartz grains, with minor portions of clay and sand often mixed with the silt. Loess is commonly intermixed vertically with ‘paleosols’, which are supposedly fossil soils that have been preserved in the geologic record or buried deeply enough that it is no longer subject to soil forming processes. Scientists previously believed the silt particles in loess were derived from ice abrasion, but they now believe that loess has both a glacial and non-glacial origin. ‘Loess covers much of the mid and high latitude continents, forming a thickening belt in Europe from the Atlantic coast east into Russia and the Ukraine in areas generally south of the Scandinavian Ice Sheet. It also covers a large portion of the Midwest of the United States, the lowlands of Alaska, southeast Washington and eastern Idaho and some 440,000 km2 of central China, where it is up to 300m thick. Millions of woolly mammoths and other Ice Age animals are mostly entombed in loess in non-glaciated areas of Siberia, Alaska and the Yukon Territory of Canada. Wind blown material is common within the Ice Age portion of the Greenland ice cores. Whether it be ‘volcanic ash’, deep sea ash or loess the origin of this material is mysterious evoking massive eruptions of missing volcanoes or in the case of loess: ‘(1) hot deserts, (2) cold deserts, (3) drowned sources covered by late-glacial sea level rise and (4) glacial grinding.’ A more encompassing explanation would be that all this material is the by-product of the electrical erosion that occurred during the mountain forming period. Depending on exactly when the material was eroded determined its ultimate classification. For example, material eroded in the early stages may have been deposited whilst marine incursions were still ongoing- this material would have been incorporated into marine strata and interpreted as ‘volcanic’. During the latter stages when marine transgressions had subsided electrical dust storms would have scattered the material globally- eventually to settle on the ocean floor or entrap ‘Ice Age’ mammals. Furthermore, marine sponge spicules have been identified in loess, we have already seen that the fossilised remains of sea creatures have been found atop Mount Everest- it is likely that the remains of sponges originated from the uplifted uppermost sedimentary strata which, as mentioned previous, was pulverised and scattered as an electrical discharge carved out a mountain. Volcanoes aside, one mountain type that has not been considered so far are mountains found at passive margins. (20) As we have previously seen passive margins display evidence of wide-scale subsidence, why would we find mountains there? These mountains are considered to be ‘old’, Plate Tectonic interpretations push their formation into the distant past, tens or hundreds of millions of years ago. But, these features are closely linked with subsidence as I have previously suggested. They are considered old because large scale subsidence took place before the main period of uplift; Great Escarpments are relics of that subsidence. 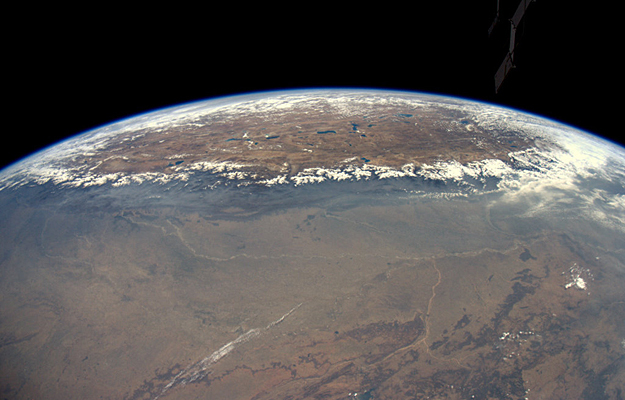 Mountains formed late in Earth history during a ‘recent’ period of global upheaval. ‘Old’ mountains and escarpments formed during an early phase due to the subsidence of surrounding crustal areas. In the latter phase energy was more focussed and led not only to uplift but erosion in areas of the continental surface that did not suffer subsidence. Viewed in this light, mountains are the result of a catastrophic vertical rearrangement of the Earth’s surface, not the result of slowly moving tectonic plates. 2. Ollier. Cliff. D. 2006. Mountain uplift and the Neotectonic Period. Annals of Geophysics, Supplement to Vol. 49 No. 1. 4. Berthault. Guy.2013. Orogenesis: cause of sedimentary formations. – Open Journal of Geology ISSN 2161-7570.Vol 3, Number 28, April 2013. 5. Johnson. Robert. 2014. Massive Solar Eruptions and their contribution to the causes of Tectonic Uplift. NCGT Journal Vol.2 No.1. 7. Anderson. Paul. E. 2012. Electric Scarring of the Earth’s Surface. Proceedings of the NPA Vol.9. 16. Ewing. Maurice. Et al. 1959. 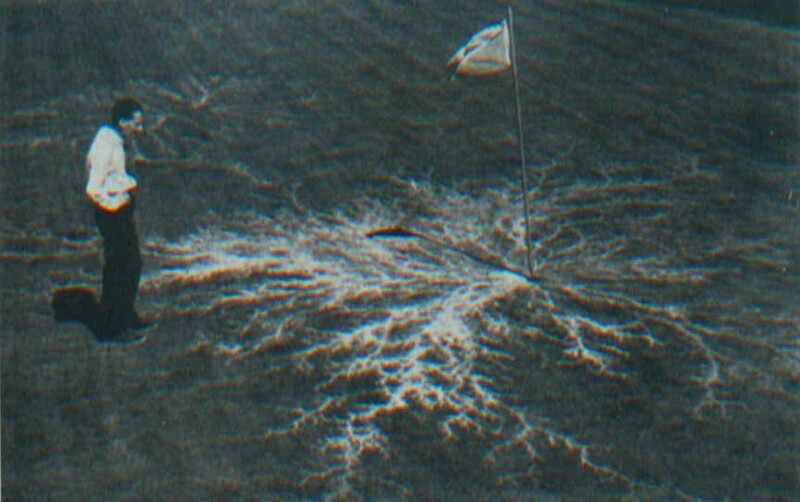 Significance of the Worzel Deep Sea Ash. Proceedings of the National Academy of Sciences of the United States of America. Vol. 45. Issue 3. 21. Ollier. Cliff. D. and Pain. Colin. 2000. The Origin of Mountains. Routledge, London and New York. Excellent, I really hope this thread takes off. My spider senses have always told me that plate tectonic theory is wrong and Georges Cuvier convinced me that the Earth moves vertically much more than horizontally. Grey Cloud wrote: Excellent, I really hope this thread takes off. I'm highly sceptical of both Plate and Expansion Tectonics (eg. see my reply here: http://forum.sis-group.org.uk/viewtopic.php?f=2&t=39) as you can probably tell. In my view we need a new tectonic model, one more in line with Cuvier and Velikovsky's ideas and based on our increased knowledge of both the solar system and the Earth- this is what I have tried to do. Just read your SIS forum post and the OP and I agree with the scepticism regarding the Pangea palaver. The other thing that is wheeled out in support of the S America - Africa 'fit' is the fauna and flora. But for every specie that is similar there are lots more that are not. My own example is the tapir which is found only in S America and SE Asia. On a side note - the SIS forum is not exactly what I would call thriving. Robertus Maximus wrote: No other terrestrial planet or natural satellites show any evidence of the alleged mobile plates. Most terrestrial bodies have intensely cratered surfaces, of the inner planets only Venus and Earth display a distinct lack of craters. If Mercury is still adjusting to its solar environment does it show any signs of activity today? Images from the MESSENGER spacecraft revealed what planetary geologists call ‘hollows’ on the surface and attributed their formation to ‘something sublimating’. What drives the Earth’s magnetic field? A steady flow of electricity requires constant potential differences. How are such potential differences produced and maintained in this hypothetical core? Interesting Idea. But what is meant with hollow? The inside of the earth is not a vacuum, this is impossible with any model of gravitation. It might be gaseous/liguid, but could such a structure be named "hollow"? At the Kola hole the Soviet Minister of Geology stated, ‘with increasing depth in the Kola hole, the expected increase in rock densities was therefore not recorded. Neither was any increase in the speed of seismic waves nor any other changes in the physical properties of the rocks detected. Thus the traditional idea that geological data obtained from the surface can be directly correlated with geological materials in the deep crust must be re-examined. This is important observation, and should be definetly used in all astrophysics. The matter is not compressible in a way like told in the ferry-tales from "neutron Stars" and "black holes". Deep drilling also revealed the presence of hydrogen, helium, methane, and other gases. Drilling in these depths are highly energy intensive. It might thus be that the drilling has caused the Temperature change. I propose that the temperatures in these holes are measured again. The map is interesting. The blue-spots are at quite exactly at Magnetic poles! Jouni, Sea levels are falling in Scandinavia and Hudson Bay regions, while rising in more temperate coastal areas. How would this fact correlate with earth magnetic fields ? Up to 18 mm / Year. You note, the "grazy thing" in this, is, that The Edge of the Ice was down to Berlin. But there is no "reboound". I see two quite circular "poles" in this picture, where the Land rises a lot. You look closer to Canada. There is a rising Pole (+18mm) and sinking pole (-6 mm) in only 3000 km distance. Galvanic corrosion, Ion migration from Cathode to Anode? But just 18 mm/year x 10 000 year does 180 0000 mm = 180 m The land hight in that region is about 200m, Meaning it should have been mostly seabed. This seems nonsense to me. Fig. 4 shows an ORP change of 200mV occurring over a distance of only 3 m at the edge of the Road ring and known to be associated with a pH increase of 0.5 units. No. The land is rising. Exactly !. The weight of the glaciers has melted into the seas. Land rises in the North, seas rise in the South. Plus we have N-S magnetospheric and solar ion transfers . Rings are larger and twice as abundant above Phanerozoic than Precambrian bedrocks. Rings are also six times more likely to occur over glaciomarine and marine deposits, rather than organic, glaciolacustrine and till deposits. Rings are least likely to occur over fluvial, glaciofluvial and bedrock deposits, although they sometimes do. Shape and electrical characteristics might indicate mini salt-domes underlying the Canadian rings. No other terrestrial planet or natural satellite displays evidence that would be expected to be associated with Plate Tectonics. I am suggesting that these structures are electrical in origin. On Mercury we are told this is due to ‘sublimating volatiles’, similar structures are found on Ceres this time we are told this is due to ‘sublimating ices’. This is reminiscent of planetary geology’s ‘one size fits all’ approach, for example volcanoes. Because we find volcanoes on Earth any geological activity on other planets and natural satellites remotely volcano-like must be due to volcanoes- no other explanations are considered. What is not at question here is the Earth’s electrical nature but how does the magnetic field arise? I agree with Velikovsky and Juergens, Earth’s magnetic field arises due to a charge differential between the Earth and its environment. Not to some hidden dynamo. JouniJokela wrote: Interesting Idea. But what is meant with hollow? The inside of the earth is not a vacuum, this is impossible with any model of gravitation. It might be gaseous/liguid, but could such a structure be named "hollow"? Jan Lamprecht has developed a hollow Earth model that matches seismic data. Both Earth and the Moon ‘ring like bells’ after powerful quakes and quake depth distribution is similar on both bodies…‘When one takes a look at the data showing the speed with which seismic waves travel, one discovers an interesting thing: Waves which pass through the Core (those which are supposed to be going in a straight line) actually slow down!’ Lamprecht’s model is gravitationally consistent all that is assumed is that a change in density occurs at a given depth. Results from the Kola Superdeep Borehole cast doubts on our understanding of Earth’s density. (Again we see evidence that vertical tectonics dominates). Current ideas of the make-up of the Earth’s interior are based on the accretion model of Earth’s formation obviously such models would exclude a hollow. Electrical formation ideas offer the possibility that this may not be the case. Such a cavity may well serve as a reservoir for hydrocarbons and ‘primordial Helium’. JouniJokela wrote: This is important observation, and should be definetly used in all astrophysics. The matter is not compressible in a way like told in the ferry-tales from "neutron Stars" and "black holes". And our models of the Earth’s interior. JouniJokela wrote: Drilling in these depths are highly energy intensive. It might thus be that the drilling has caused the Temperature change. I propose that the temperatures in these holes are measured again. Similar results were found in Germany. What we find from the results of deep drilling is that what was expected to be found before drilling started- based on seismic studies- was not found at all. At the Kola Superdeep Borehole when the Conrad Discontinuity was penetrated no change in rock type, faults or physical boundary was found. This begs the question; just what are seismic structures? In recent decades seismic studies of the core have revealed some anomalies which led to suggestions that: the core is prolate spheriodal shaped, the core is crystalline, the core is tilted and the core is a crystal within a crystal. And the mainstream criticise Electric Universe concepts! What would an Electric Universe explanation for these seismic observations look like? It has been found that seismic waves travelling along the Earth’s rotational axis are not parallel to that axis but diverge by 12.5 degrees. Seismic waves travelling along this axis travel faster than those travelling perpendicular to it. The alignment of this ‘seismic axis’ is interesting; if Earth is a secondary electrode in the discharge powering the Sun, we would expect current from the Sun, to arrive at the Earth perpendicular to the plane of the Sun’s equator. This is not dissimilar to what we find with the 'seismic axis'. Could it be that seismic structures rather than the hypothesised different physical boundaries are actually changes in electrical conditions or double layers within the Earth? Seismic waves travelling along the ‘seismic axis’ would then be mapping internal current flow. Tradition core, mantle and crust boundaries along with numerous other discontinuities and zones would simply be electrical ‘layers’. Periodic breakdown in such layers lead, not only to deep earthquakes, but all manner of tectonic activity. Robertus Maximus wrote: The Earth however does have a substantial atmosphere and magnetic field, is far more geologically active and has yet to ‘acquire the potential of the surrounding plasma’. So Earth will inevitably ‘acquire the potential of the surrounding plasma’ then, right? What can we expect to change when this happens? Is it a good thing or a bad thing for us? I expect to be bombarded by high energy particles a lot more when we no longer have a plasma double layer shielding us. Will the orbit remain the same? As of now the Earth is apparently moving away from the Sun. What I have hinted at in this thread are two possibilities. Firstly, either the Earth’s current orbit is ‘recent’ or secondly, the Earth’s environment is ‘recent’. As a consequence of this the Earth is currently electrically and geologically active. From Wal Thornhill’s proposal we see that the increase in the Earth’s orbital radius (as you pointed out) is due to the Earth’s continuing adjustment to its environment. As part of this adjustment Earth is accepting more charge the rotation rate is slowing and the planet’s polarisation increasing accompanied with an increase in ‘mass’ and surface gravity. If we look at the accepted densities of Saturn and Mercury, for example, we find anomalous values- Saturn could float in suitably large bathtub of water, Mercury has an enormous iron core we are told. In an electrical solar system rather than anomalous densities is it not more reasonable to assume that the current orbits or electrical environments of Saturn and Mercury, like the Earth, are ‘recent’ and both planets are continuing to adjust? Just to be clear, I do not subscribe to the accepted view of the geologic column. I believe that the Phanerozoic rock record records a global cataclysm. The fossils contained therein are not a record of millions of years of evolution but of life forms that perished during that time. Given the diversity of extinct and extant life in my view the pre-cataclysmic Earth was certainly different than what we see today. Regarding Earth’s magnetospheric ‘shield’, if the Earths’ electrical condition is ‘recent’ then it would suggest that the ‘shield’ is recent too. Is this good or bad? I don’t know. Just to go slightly off track for a moment, one possibility I will suggest is this; Darwin’s theory of Evolution by Natural Selection is incomplete on Earth today we see evidence of selection, for example, various traits selected by dog breeders, in nature we see colour changes of the peppered moth, in humans- how the immune system functions, where evolutionists perform a semantic sleight-of-hand is when they use ‘evolution’ to mean speciation, the creation of new species of which we have no examples occurring today. The inability of experimenters to mutate fruit flies into new species may be telling us Earth’s environment today is a recent and radically different one. Is it possible species arose under different ‘shieldless’ electrical environmental conditions? If so, then our assumptions and hypotheses of how life began and new species arose have been misguided from the start, as they are largely formed on retrodictions based on the environment we see on Earth today, not the environment that existed pre-cataclysm.